In a fast-paced world of Technology that demands quicker turnaround time and swifter hitting of the market combined with reducing that time for development, developing hybrid applications is the way to go. It makes you sure that you do not spend time developing applications for each platform. This is where the awesomeness of react comes in. React Native team at Claritaz? We are proud providers of React Native development services and are one of the best React Native development companies in Chennai. 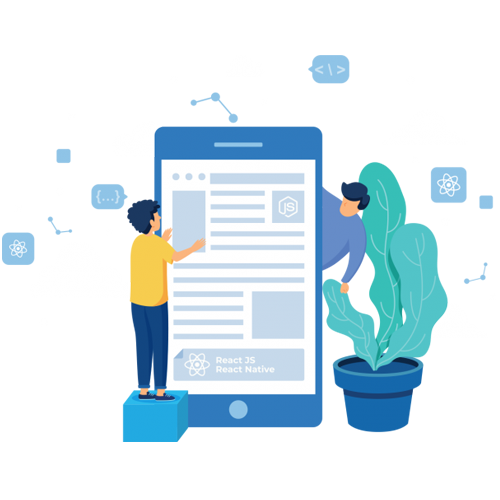 Having handled the multiple verticals, we have the essential expertise to deliver incredible applications built on the React Native development framework that takes all the advantages of development in this robust framework. we build applications for all the major platforms and also make use of the modular nature of React Native to customize applications according to your requirement. Our expertise and empathy comes to rescue in developing an interactive and intuitive user interface. It has to be admitted that user interface is one of the most important components of a mobile application. It determines how the users will interact with an application and that is what determines the extent of engagement and the probability of its converting into some tangible values for business. React Native brings along with it, by default,a collection of rich user interface components that make it a breeze to interact with for your mobile application. A lot of global Giants rely on React Native, and the non-exhaustive list of companies include Netflix, Instagram, Walmart and Facebook. These are the organizations that go at a large level when it comes to the user base and this speaks volumes about the components that are present in react native and the scalability options it gives. The speed of applications developed with React Native is the same as any native application. 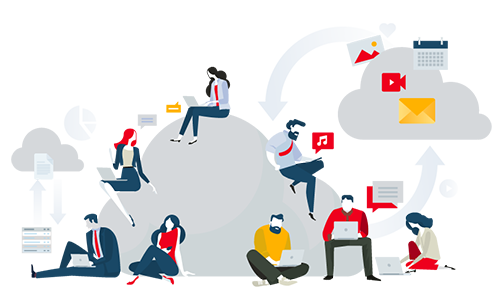 Therefore, it becomes an amazing advantage developers and for businesses who really heavily on the speed of the app to get its performance and functionality. When a single development effort can create applications for both the major operating systems it can be considered a great advantage in terms of time and effort. This is another advantage that react native development of bring to your application. Any app that is developed with react native can work flawlessly with iOS and Android. Of the name implies, it is one of the hottest features that makes React Native development really awesome! With this hot reload a feature, you can run a new code while retaining the state of your application. So, what happens your application in terms of code is not just alteration but just augmentation! All the above set advantages culminate in making the development process faster and more efficient. Less time to develop gives more time for you to fix and troubleshoot in existing bugs and also quicker time to go to the market. All it requires of us to drop in a line and we will get in touch with you together your requirement and present you with an application that is bound to excite you and your customers with the fluidity and functionality converging in robust application.